I have to admit that Almay isn't usually a brand that I really pay attention to in the drugstore, not because I don't like it or have had particularly bad experiences but just because it never grabs me. 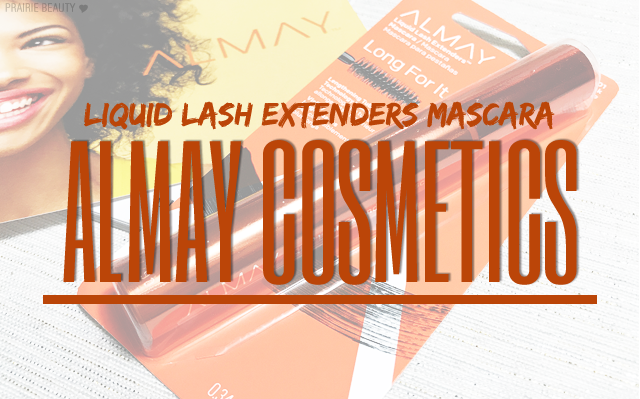 That said, in the past I've tried out some of their mascaras and I've really loved them, so when I got a chance to try out the Almay Liquid Lash Extenders Mascara*, I was looking forward to it and hoping that it would work out for me. 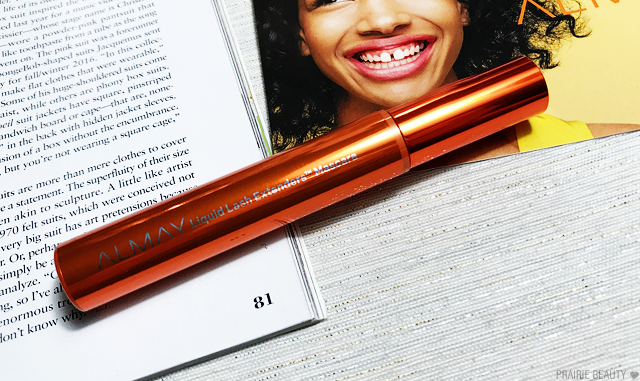 The Liquid Lash Extenders Mascara allows you to create buildable length, by simply layering with multiple strokes for more dramatic length. No eyelash extensions necessary! This might seem like a weird comment on this mascara... but I really like that the tube is simple and doesn't have a weird shape or anything to make it flashy but that ultimately makes it uncomfortable to hold. There's something to be said for simple. I also really like the bold orange metallic - though I guess that's the something flashy that calls attention to this mascara. Though I tend to personally prefer a rubber bristle wand, I actually don't mind the traditional bristle wand on this mascara. The bristles are plentiful - seriously, there's SO MANY bristles in this wand - and they're spaced well to allow me to build up and separate my lashes at the same time. It's a little bit big for my tastes since I have fairly small eyes, but I do find that I can work with it and get coverage on all of my lashes as long as I'm careful towards the inner and outer corners. I have made a mess with this when I haven't been careful, but as long as I go slow and don't get too crazy I can get it to work just fine. Though this is marketed as a lengthening mascara, I've actually found it quite volumizing and I've really liked the fullness this gives my lashes when applied. I find that two solid coats is enough to really boost my lash fullness. That said, I don't necessarily think it lives up to the lengthening claim because I feel like, while it does add a little bit of visible length, it doesn't really give me the length that I'm personally looking for if I'm reaching for a lengthening mascara. For me, this product is really all about the volume. 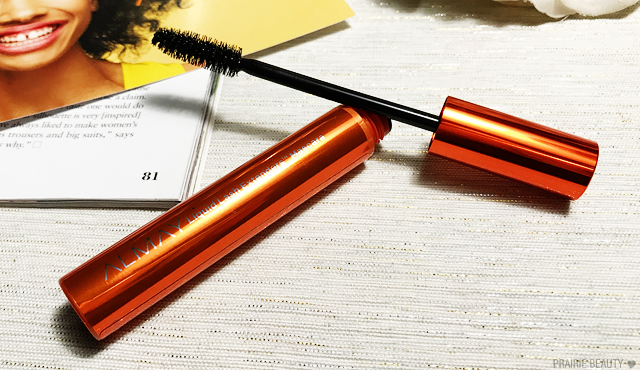 I think the thing that really impressed me the most about this mascara is how well it wears. 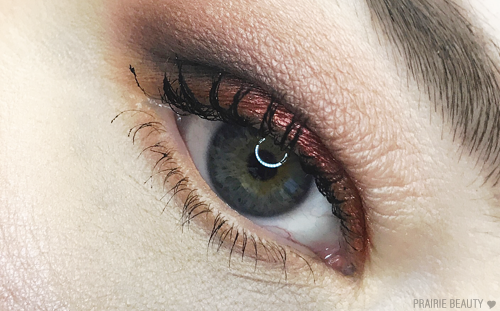 My left eye tends to get quite watery to the point that I struggle with keeping eyeshadow on the inner part of my lid on that eye, so I have to be pretty careful about what mascara I use so I don't get a single panda eye every day. I also tend to rub my eyes a little and flaking mascara can be a killer for me. This mascara literally stands up to everything I do to it, even long afternoon naps that can obliterate most of my mascaras. In my time testing this, it's basically been bulletproof. That being said, it can be a little bit difficult to remove and I really have to get in there and gently scrub it away with a cleansing oil to really remove it, but that's a perfectly acceptable price to pay for me personally. 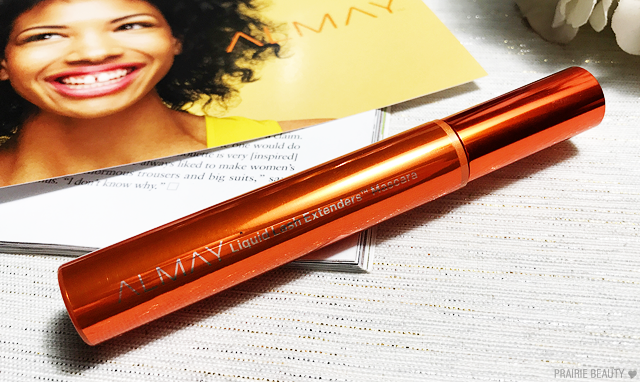 Overall, while the Almay Liquid Lash Extenders Mascara* may not be my new favorite, I have to say that it's been working for me pretty well. 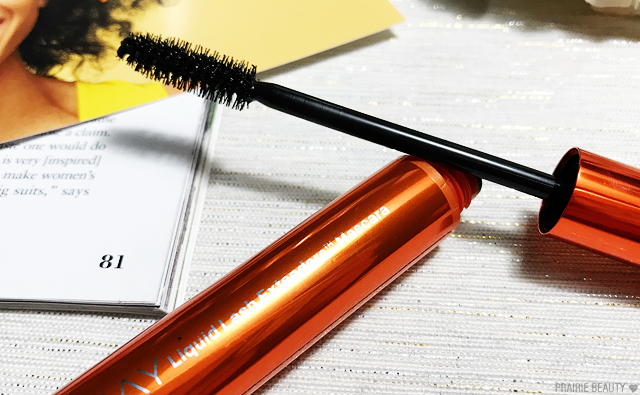 Because I like really full lashes that give me some real definition to my eyes, I don't mind so much that this didn't blow me away with lengthening, and the long wear time and lack of flaking or smudging definitely makes it a mascara that I'm more than happy to keep using. Honestly, I'm starting to find myself curious to take a closer look at Almay and see what they have going on in their line these days, since I've been a little bit neglectful of it. 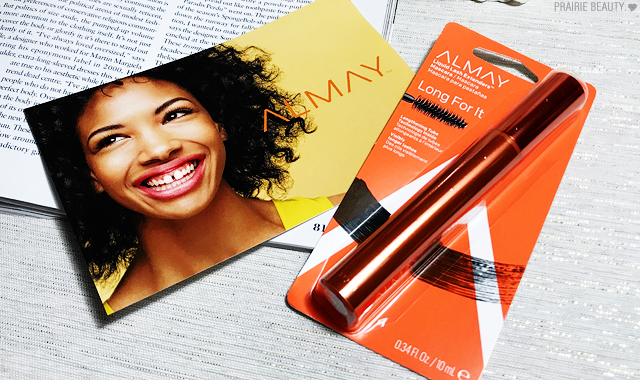 Let me know if there are any products you'd like to see me review from Almay and I'll be sure to give them a go!